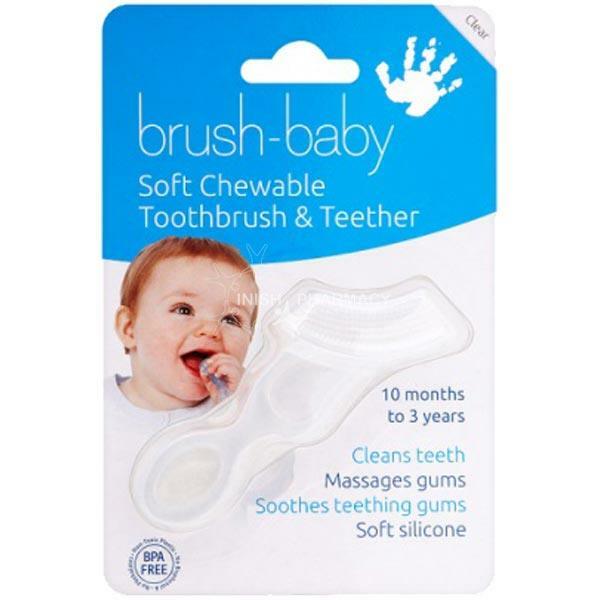 The Brushbaby Soft Chewable Toothbrush has been designed for baby’s aged 10-36 months. The unique shape helps to reach the back teeth and the soft bristles clean both top and bottom teeth. This chewable toothbrush helps prevent gum inflammation and pain during teething stages. Can also be stored in fridge to cool and soothe gums.